This amp rack was manufactured for PSAV. 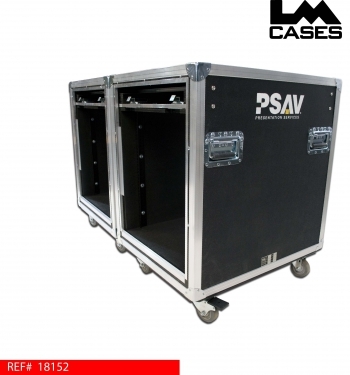 The rack features flat panel lids that are designed to store above the rack shell. The lids fit into custom tracks allowing them to slide in and out easily with out touching. 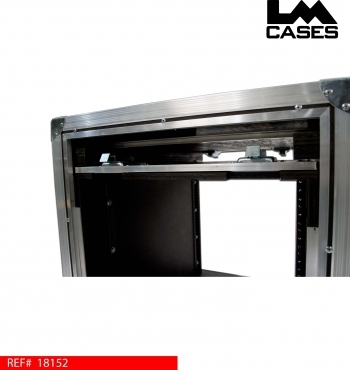 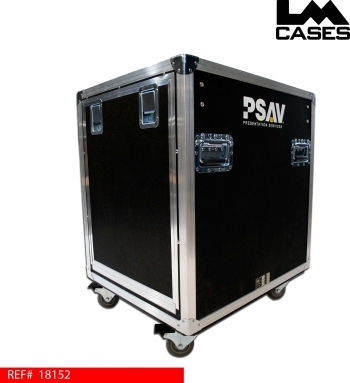 The case features 12 spaces (RU) of rackable space that is shockmounted with 2" foam. The case is outfitted with optional deep recessed handles, 3.5" casters, stacking caster wells, and a custom ID tag. 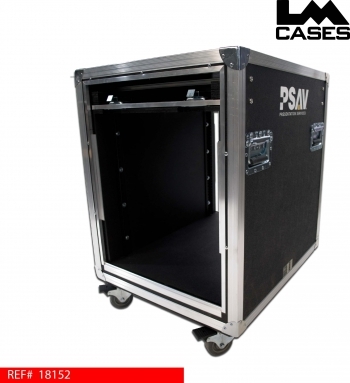 Additional pictures are posted below to show the lid storage up close.